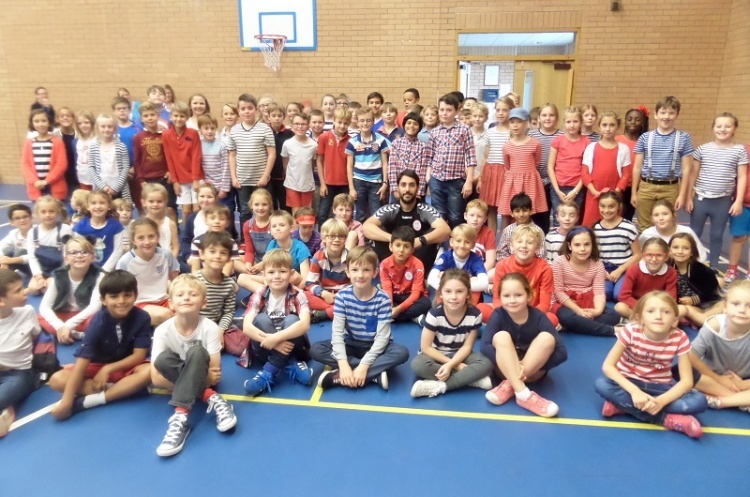 90 pupils from Grace Dieu Manor Primary School receieved coaching from GB Under-21 coach Ricardo Vasconcelos. Ricardo also oversaw a tournament between the houses at the school. Gentili House won both the year's 3-4 tournament and year's 5-6 tournament. Claire Tatton - teacher of French, Spanish and Outdoor Learning at the school - said: "The children had a fabulous time. Thank you (Ricardo) for giving up your time and sharing your expertise."